John Elway, a two-time Super Bowl champion, a member of the Hall of Fame Class of 2004 and the most accomplished player in Denver Broncos history, was elected to the franchise’s Ring of Fame in 1999. The only player for whom the customary wait for Ring of Fame induction was waived, Elway finished his magnificent career completing 4,123- of-7,250 passes (56.9%) for 51,475 yards with 300 touchdowns and 226 interceptions. A starter in five Super Bowls overall, Elway capped his playing days with Super Bowl XXXIII Most Valuable Player honors after helping the Broncos capture the second of back-to-back World Championships following the 1998 season. Elway, who retired as the NFL’s all-time winningest starting quarterback (148-82-1 / .643) was voted to a franchise-record nine Pro Bowl appearances (1986, ‘87, ‘89, ‘91, ‘93, ‘94, ‘96, ‘97 and ‘98) and as a starter six times. He was the NFL’s Most Valuable Player in 1987 and AFC Player of the Year in 1993. 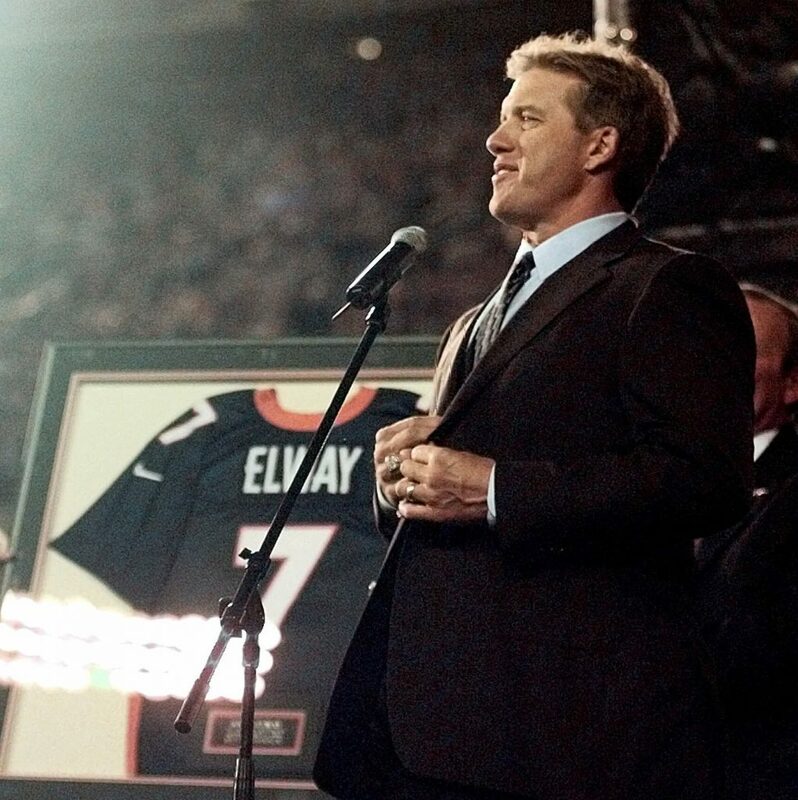 Elway was named the Edge NFL Man of the Year for 1992 and was inducted into the Colorado Sports Hall of Fame in 1999 while also being named to the NFL’s All-Decade team for the 1990s (first team). He generated 4,771 of the 5,806 points (82.2%) scored by the Broncos during his 16-year tenure with the club. Elway ranks No. 1 in NFL history in fourth-quarter, game-winning or game-saving drives with 47 (46-0-1 record) and had 36 career 300-yard passing games in the regular season. He started 2,595 drives as a pro and was replaced just 10 times due to injury (.039%). Elway’s No. 7 jersey was retired on Sept. 13, 1999. Selected as the No. 1 overall pick in the 1983 NFL Draft, Elway concluded his collegiate career at Stanford University with five major NCAA Division I-A records and nine major Pacific-10 Conference marks.